from his fading cream business. 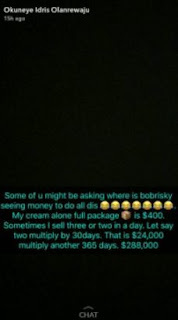 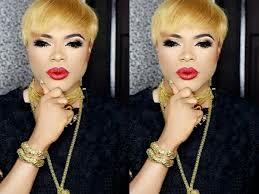 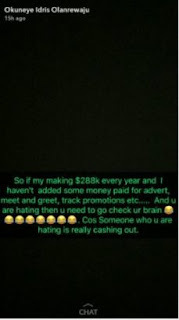 Bobrisky who advised his haters to continue abhorring while he profits, additionally gave a breakdown of his deals. As per him, his fading cream costs $400 and he offers no less than two day by day, and that is $800 which adds up to $24,000 month to month and $288,000 per annum.